At least 26 elephants were massacred in the Dzanga Bai World Heritage Site in the Central African Republic, after 17 individuals armed with Kalashnikov rifles on Monday entered this unique elephant habitat, known locally as the “village of elephants”. Yaoundé, Cameroon - At least 26 elephants were massacred in the Dzanga Bai World Heritage Site in the Central African Republic, after 17 individuals armed with Kalashnikov rifles on Monday entered this unique elephant habitat, known locally as the “village of elephants”. WWF sources on Thursday said they had counted at least 26 elephant carcasses in and around the Bai, a large clearing where between 50 and 200 elephants congregate every day to drink nutrients present in the sands. Four of the elephants were calves, the sources said, adding that local villagers had started taking meat from the carcasses. 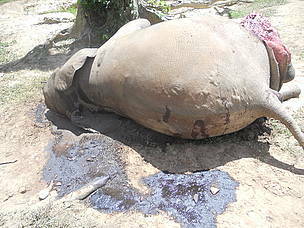 Since the poachers arrived no elephants have been seen at the Bai, which was described as an “elephant mortuary” the sources added. Although the 17 armed individuals, who presented themselves as part of the country’s transitional government forces, have left the area, WWF and other conservation partners fear the killing could continue unless the area is properly secured. The Central African Republic has been rocked by violence and chaos since the beginning of the year, and WWF and other conservation organizations left the field office next to the Bai in April for security reasons. 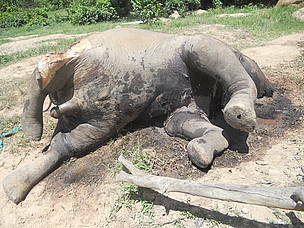 Jim Leape, WWF International Director General, said: “The killing has started. 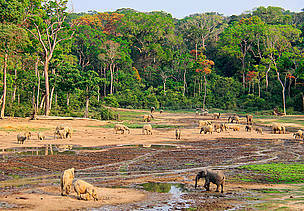 The Central African Republic must act immediately to secure this unique World Heritage site. “The brutal violence we are witnessing in Dzanga Bai threatens to destroy one of the world’s great natural treasures, and to jeopardise the future of the people who live there. “The international community must also act to assist the Central African Republic to restore peace and order in this country to safeguard its population and its natural heritage. 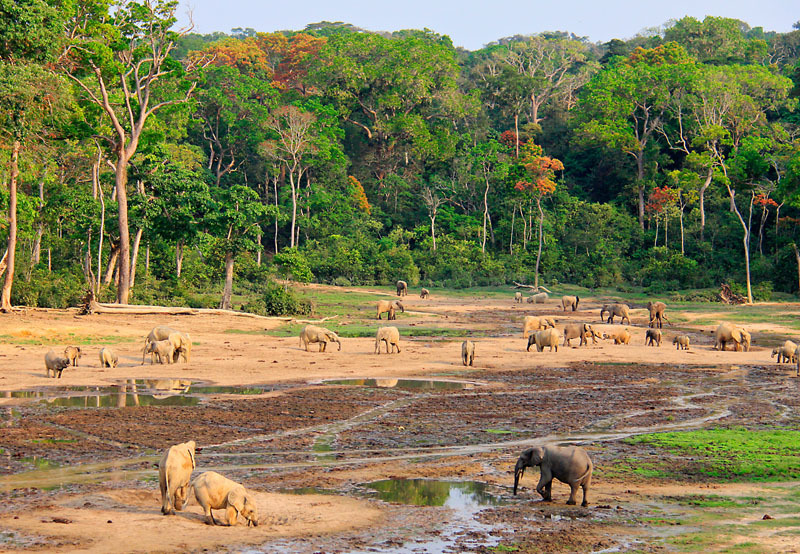 “WWF also asks Cameroon and the Republic of Congo to assist the Central African Republic in preserving this World Heritage Site, which not only encompasses the Bai, but also includes large neighbouring areas of these two countries. “The events in Dzanga Bai are a vivid reminder of the existential threat faced by forest elephants in Central Africa. Populations of this species have plummeted 62 per cent over the past ten years.